Don't abuse his privacy but he will abuse yours all day long! 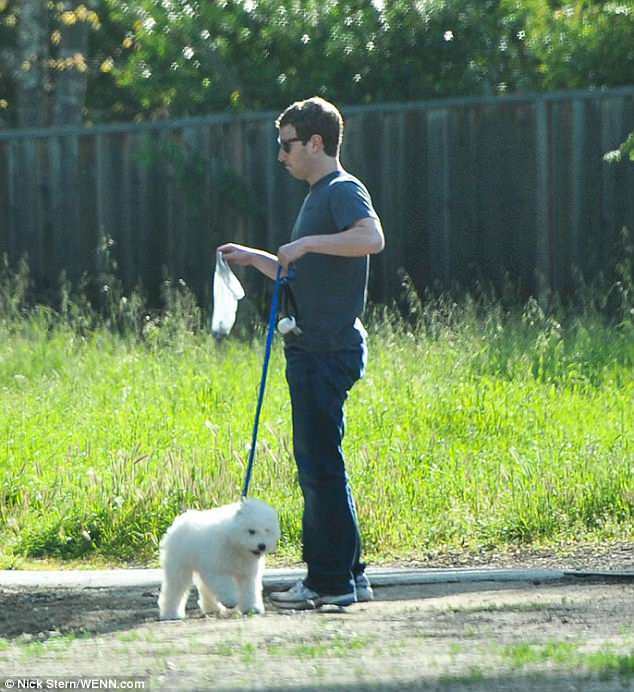 A photographer has accused Mark Zuckerberg of 'extraordinary hypocrisy' after he was escorted to Facebook headquarters by security guards and accused of breaching the tech giant's privacy for taking pictures of him cleaning up dog mess on a public street. 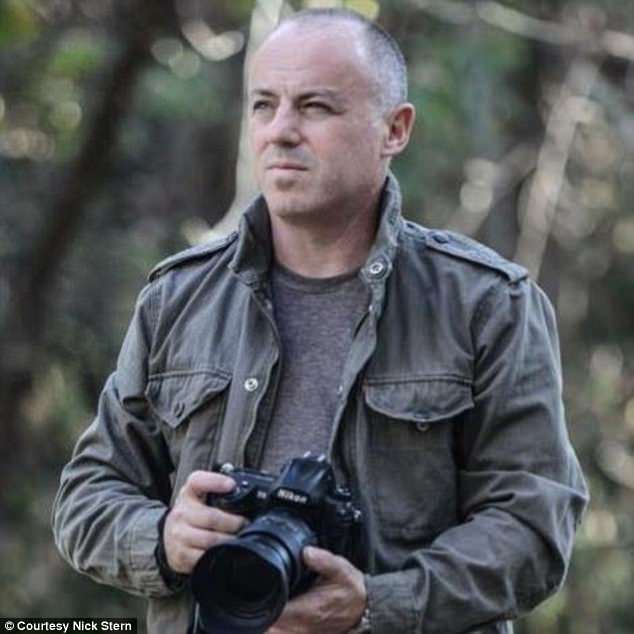 Award-winning photo-journalist Nick Stern said he was stunned when he was approached by a security guard in a golf buggy as he sat in his car on a public road - and was made to drive to Facebook headquarters in Palo Alto, California. The 50-year-old, who lives in Los Angeles, said he had traveled to Palo Alto in April, 2011 to profile Zuckerberg when he first became a public figure. 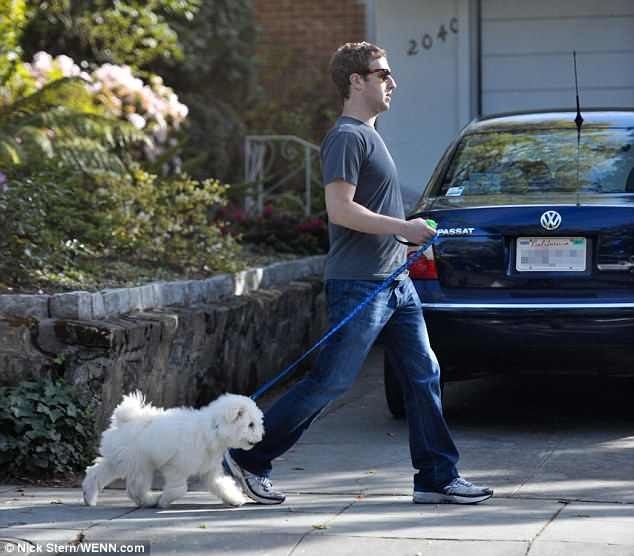 He had taken a few photos of the Facebook chief executive walking in public with his dog and girlfriend Priscilla Chan - some of which were published on DailyMail.com. The world's youngest billionaire at the time proved himself to be a responsible dog owner as he whipped out a plastic bag, crouched down and cleaned up his new puppy Beast's mess near his home. 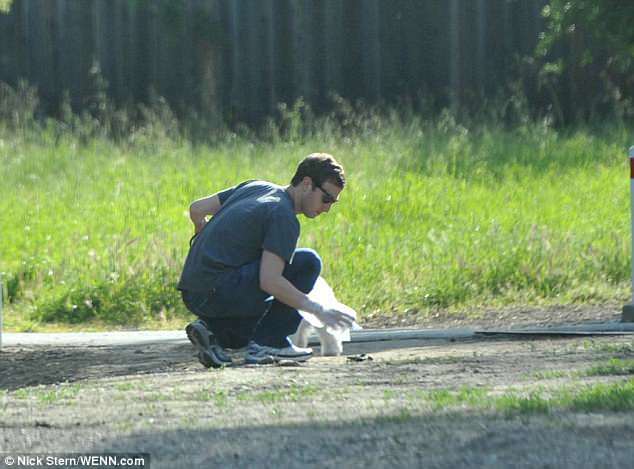 Zuckerberg, 33, even posted similar pictures of Beast's toilet mishaps on the dog's very own Facebook page during a visit to the launch of the new Facebook data center, in Pineville, Oregon a week earlier. 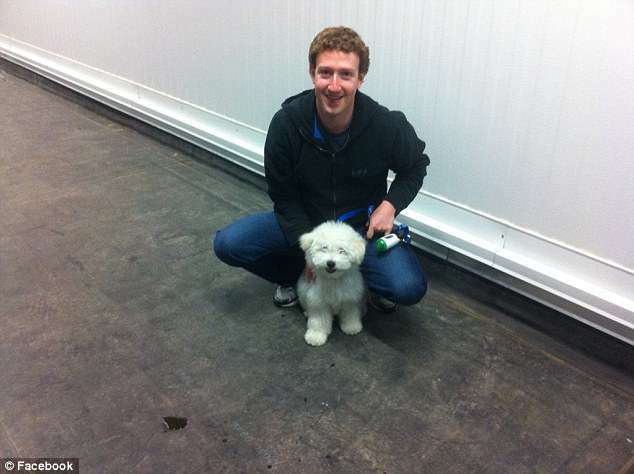 The accompanying caption read: 'Mark took me to see Facebook's new data center, and I christened it by peeing on the floor. That puddle at the bottom left is all me,' it said. But eager to ensure no more pictures of the elusive social media mogul got out - Facebook sent security to find photographer Nick and 'summon' him to their headquarters. Nick, originally from Hertford in the UK, said he was approached by a security guard in a golf buggy - and told to drive to Facebook head office in Palo Alto. The security guard followed his car to the parking lot, where he was escorted into the premises and met by two senior Facebook employees who told him he was breaching Zuckerberg's privacy and must stop taking photos of the billionaire. Nick, who also works as an artist, says the way the meeting was conducted left him feeling 'intimidated' - although no direct threats were made. 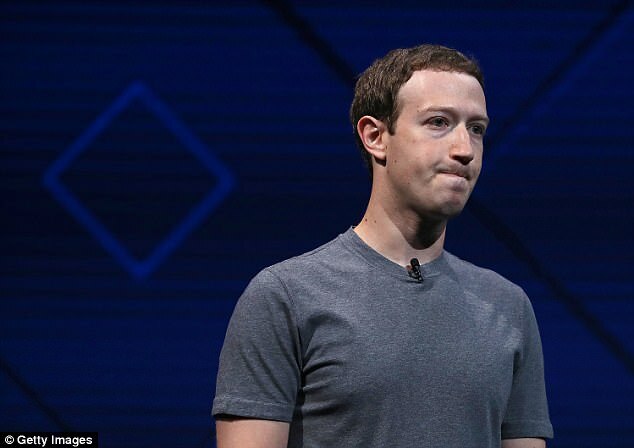 He has now accused Zuckerberg of hypocrisy - following Facebook's privacy scandal in which the personal data of around 50 million users was sold to a political consulting firm. 'It's ironic that Zuckerberg will go to such extraordinary lengths to protect his own privacy - when the privacy of millions of people doesn't appear to have been high on his priority list, Nick told DailyMail.com. 'I never once invaded his privacy - I only ever took pictures of him when he was out in public doing normal things like walking his dog. 'He was becoming a huge public figure - so people were interested to learn about who this guy was. 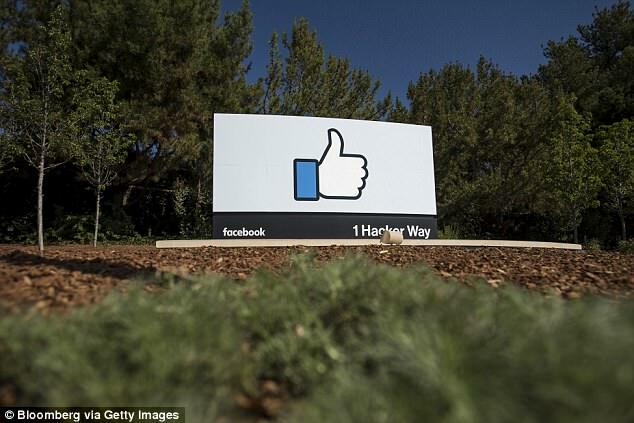 'A short time after the dog mess pictures were published I was sat in my car when a security guy pulled up in a golf buggy and told me I had been summoned to Facebook headquarters. 'I was shocked I didn't even know how they knew who I was. 'The security followed me all the way to the parking lot at Facebook and I was then escorted to a meeting with Debbie Frost, who was then head of public policy and Jonathan Thaw from the PR department. 'They told me that Zuckerberg's private life and the life of those around him is private and should remain so - and that I had no right pursuing him or stories about him to publish. 'This is despite the fact that he was quickly becoming a huge public figure - and Facebook had millions of users around the world. 'They didn't threaten me as such but it was an intimidating set up. Debbie Frost is now Vice-President Global Affairs and Communications at Facebook and Jonathan Thaw is Vice President of Communications. The company has faced a global outcry after a whistleblower revealed, on March 17, that data from 50 million users was improperly harvested to target US and British voters in close-run elections. Facebook shares have fallen almost 18% since March 17. Users' data was improperly accessed by British political consultancy Cambridge Analytica, which was hired by Donald Trump's 2016 presidential campaign. The company's CEO, Mark Zuckerberg, has repeatedly apologized and bought full-page advertisements in US and British newspapers promising to do more to restrict access to users' information. DailyMail.com has reached out to Facebook for comment.